Pressure is mounting on the Awami League government as the international community continues to criticise the International Crimes Tribunal. The Hurriyat leader Syed Ali Shah Geelani called upon the Bangladeshi government to stop persecuting Professor Ghulam Azam and other Jamaat-e-Islami leaders, in a letter to Sheikh Hasina, Bangladesh’s Prime Minister. Open Democracy published an article today on the Bangladeshi Media’s support for the unjust ICT and the policies of the Awami League government. Amar Desh wrote that the International Criminal Court has agreed to investigate Sheikh Hasina for crimes against humanity, after receiving a submission from UK nationals. Interestingly, this article is now offline, although a cached copy is available on Google. Cassidy & Co, a “government relations firm” based in Washington, published an article in their blog which stated that “the basis for the creation of the ICT, the International Crimes Act of 1973, is deeply flawed and outdated” and which outlined their fears that if the trial is allowed to continue in its current guise, it will have repercussions for International crimes justice worldwide. In addition, a number of UK politicians have contacted the Foreign Office and the Bangladeshi High Commission to urge changes to the ICT to ensure justice for those arrested. The prosecution in the International Crimes Tribunal produced some of their much anticipated video evidence yesterday. However, the video did not show any footage of Ghulam Azam and was simply a montage of wartime footage with news reports from Western sources such as CBS, NBC and ABC News. The prosecution defended the video evidence, saying that they had not included footage of Ghulam Azam himself for “strategic reasons”. However, it provides more credence to the view that such evidence is severely lacking. See here for more details (Daily Star newspaper report). In today’s bail hearing at the International Crimes Tribunal, Professor Ghulam Azam’s bail application has been rejected. This is despite the recent UN Working Group for Arbitrary Detention’s criticism of the detention of other Jamaat leaders in similar circumstances. Justice Nizamul Haq rejected the bail plea saying “We do not find new materials in support of the claim that his health is deteriorating”. This is despite the recent reports of his family, who say that he has significantly deteriorated in physical and mental strength in detention. Further details of the court decision can be found here. The Bangladesh government, which likes to present itself as a progressive liberal democracy, has voted to pass a law preventing criticism of the International Crimes Tribunal. Arguing that the ICT is being “obstructed” by those who have questioned its intentions, the law aims to silence opposition completely by making it illegal to criticise the trial at all. This follows the recent contempt case against the New Age BD newspaper which suggested that the trial may be a politically motivated “judicial stamp” to allow the punishment of those that were (alleged to be) involved in war crimes. In addition, the ICT judge and politicians have been quick to criticise an Aljazeera report by Nicolas Haque, which provided a relatively balanced view of the trial and mentioned the UN decision. They described the report as “untrue and baseless”. The reports have since been removed from the Aljazeera website and its Youtube channel, possibly as a result of pressure from the Bangladeshi government. It is important that more voices are raised in criticism of the so-called “International Crimes Tribunal” as those in Bangladesh will soon be powerless to speak out against its many flaws. Despite the assurances of the Bangladeshi government, Professor Ghulam Azam is deteriorating rapidly in custody. Although he has not been charged, he has been in virtual solitary confinement, with severely limited access to family or even lawyers. The United Nations Working Group on Arbitrary Detention condemned the detention of other political leaders in Bangladesh, which has been simply ignored by the Bangladeshi government. Ghulam Azam’s family, especially his wife Afifa Azam, are very distressed by his increasingly frail appearance. He is also suffering from the effects of mental isolation and the lack of the usual rigid discipline in health and lifestyle that he used to maintain. 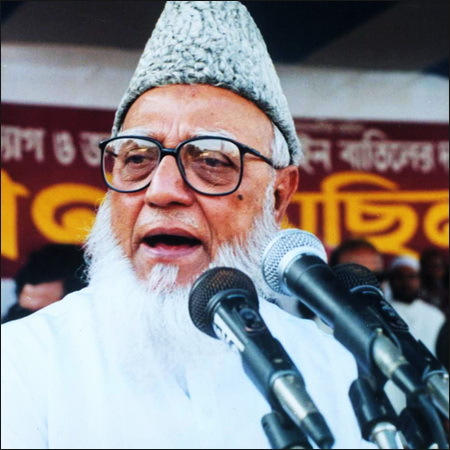 Please act now to contact your MP or representative about the conditions faced by Ghulam Azam and his rapidly declining health, as well as concerns that he will not receive a fair trial at the ICT. 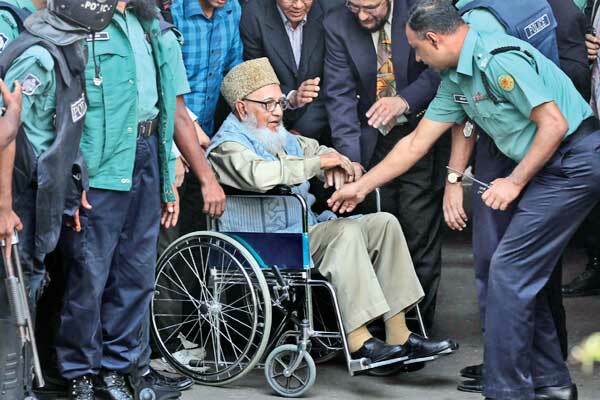 The International Crimes Tribunal began hearing the framing of formal charges against former Ameer of Jamaat-e-Islami Professor Ghulam Azam on Wednesday, despite a request for an adjournment on the hearing pending. Earlier in the day, a second bail petition was heard for Azam, and the tribunal said that it would make a decision on this matter on February 23. The tribunal had ruled that the adjournment petition would be heard after lunch, and the court reconvened at 2:15pm. But upon seeing that none of the senior lawyers were present, tribunal chairman Justice Nizamul Huq asked the prosecution to begin with its formal charge against Azam. Justice Nizamul Huq is a controversial figure, whom the International Criminal Law Bureau has labelled a man who “has has a visible and apparent interest and bias in these proceedings”, given his part in writing reports used as evidence for the prosecution. As the chief prosecutor began, a senior defence counsel, Tajul Islam, pointed out that there was still an adjournment petition pending. However, Justice Huq said that the petition would be duly heard, but in the meantime the prosecution should continue reading out formal charges, which he said would take five to six hours. Another judge, Zaheer Ahmed, intervened and allowed Razzaq to leave the courtoom, saying, “Not the entire defence team really needs to be here when the charges are merely being read out.” The prosecution continued to read out charges until 4pm, and will continue on Thursday. Azam spoke at the tribunal, saying that “they are gradually killing me before the trial is done” by giving him only very poor quality food. He also said that he is so weak that he needs someone to accompany him to the toilet, so he would like to stay at home with his wife and family in his last days. However, his statement was ignored by the judges, who said that the lawyers should convey any messages on behalf of him. After hearing the petition, the tribunal said it wanted to address all points made by the counsels of both sides and would give its verdict on Feb 23. 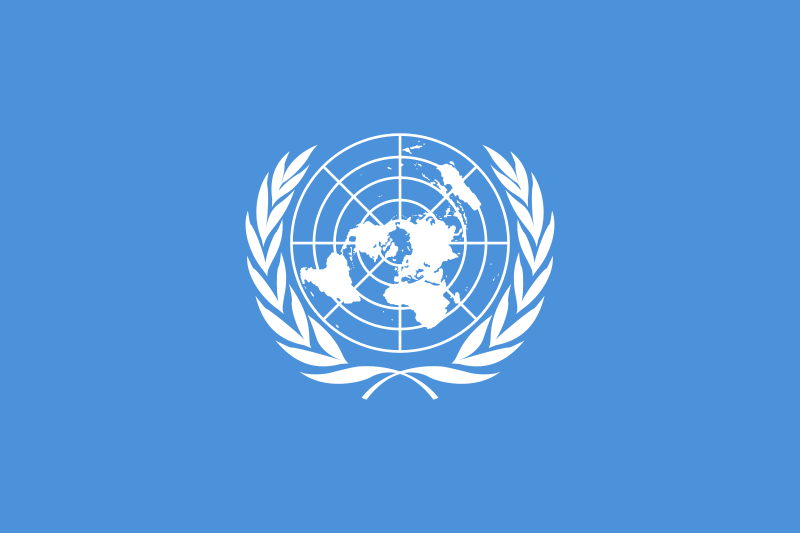 The United Nations Working Group on Arbitrary Detention has declared that the detention of six suspects of the Bangladesh International Crimes Tribunal is arbitrary and has recognised that the Tribunal’s procedures constitute a breach of Article 9 of the Universal Declaration on Human Rights and Article 9 of the International Covenant on Civil and Political Rights. The UN had previously remained relatively quiet on this issue, and this represents a significant development amid growing international pressure on the Bangladesh Government to give a fair trial to the opposition figures detained on allegations of war crimes. “The UN Working Group, an independent and impartial body beyond reproach, has issued a clear statement that the Tribunal is operating well below international standards and in clear breach of its treaty obligations as a State Party to the ICCPR.